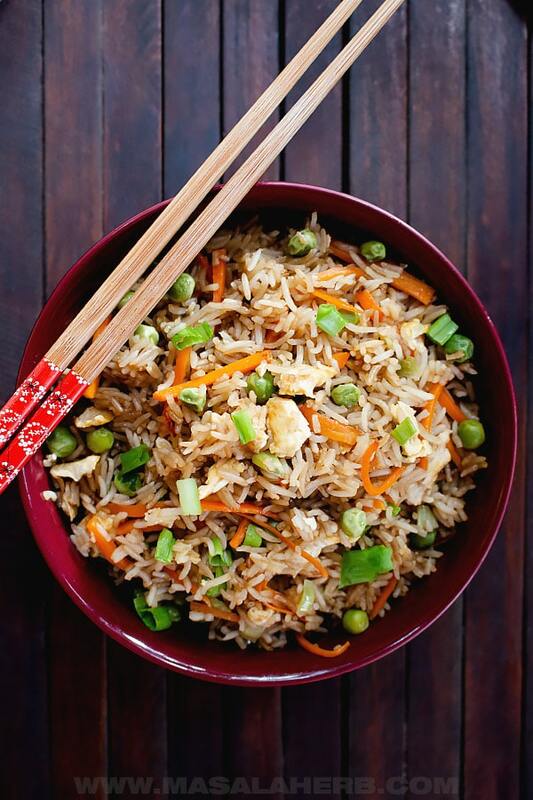 Did you know that making your own panda express fried rice is super easy? 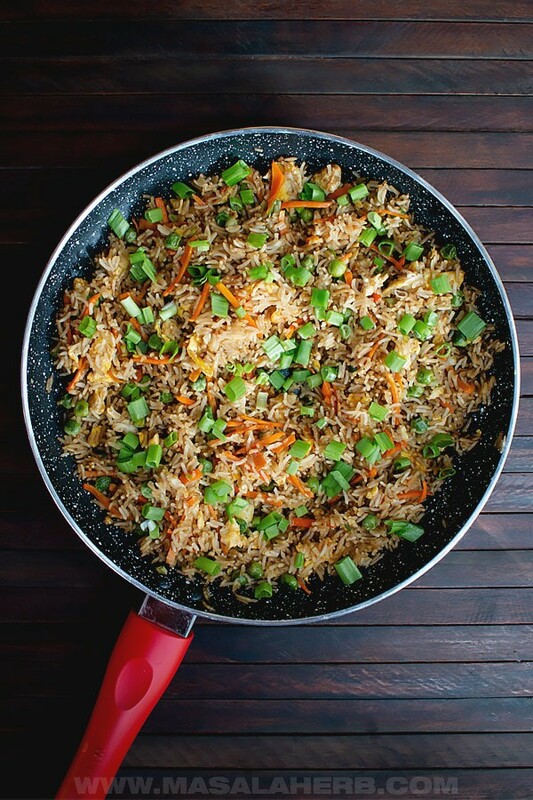 The budget-friendly, one-pan, copycat fried rice prepared at home has its perks. You get to adjust it the way YOU like it, turning it into a healthier meal! Does that sound great to you? Great! Then let’s dive into the details further below. Panda Express is a popular Asian American Fast Food Chain, which has several restaurants abroad as well. The food served in panda express is typical non-traditional Chinese style food. This kind of food is popular across the western world and often while has little resemblance to the original Chinese food culture. This includes meals such as the all famous Panda Express Orange Chicken, Chow Mein, and Fried Rice. My Family and friends alike are a huge fan of “New Age” Asian foods and once you learn how to make your own at home, you will be obsessed with it as well! To prepare Panda express fried rice at home you will need a few ingredients which you can get in your nearest grocery store. You can use fresh or frozen peas and carrots. The panda food chain uses frozen ones. The Panda Express copycat fried rice ingredients mentioned above can be adjusted if you prefer a little more or fewer veggies or rice. The whole point of preparing fried rice at home is to have the freedom to do what you enjoy. Right? 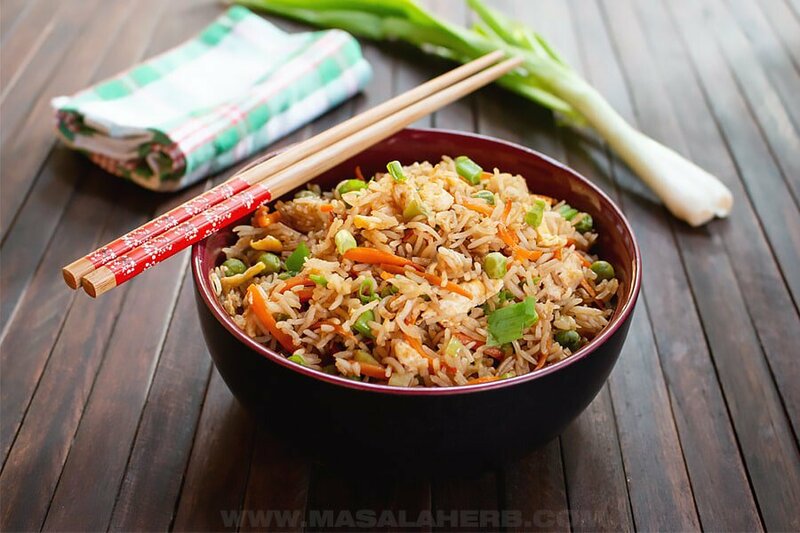 Other perks of preparing your own copycat fried rice at home are that you know what’s in your meal, making it a healthier dinner option and the fact that you save some money. That’s why this fried rice is going to be better than take-out! The full fried rice recipe card to print can be found below and can be used as a basic guideline to prepare this delicious dish. What rice should you use to make fried rice easily? Use long grain rice white rice such as basmati or other Asian rice variations. It doesn’t really matter which long grain rice, what matters is that the rice doesn’t get mushy when you try to stir fry. The trick for amazing fried rice is simple. Use leftover fridge-cold fried rice. This is the easiest way to succeed in preparing fried rice every time! OR boil fresh rice to the bite, that means undercook it. That way, when you intend to fry the rice, you will be able to cook it without the rice sticking to the pan or getting all mushy and ugly. If you want to add another healthy element to your copycat rice, try switching the rice with brown rice. But keep in mind that it will greatly differ from the original panda express rice. How to serve the Panda Express Rice? The copycat panda rice is a side dish just like the panda express chow mein and steamed rice. 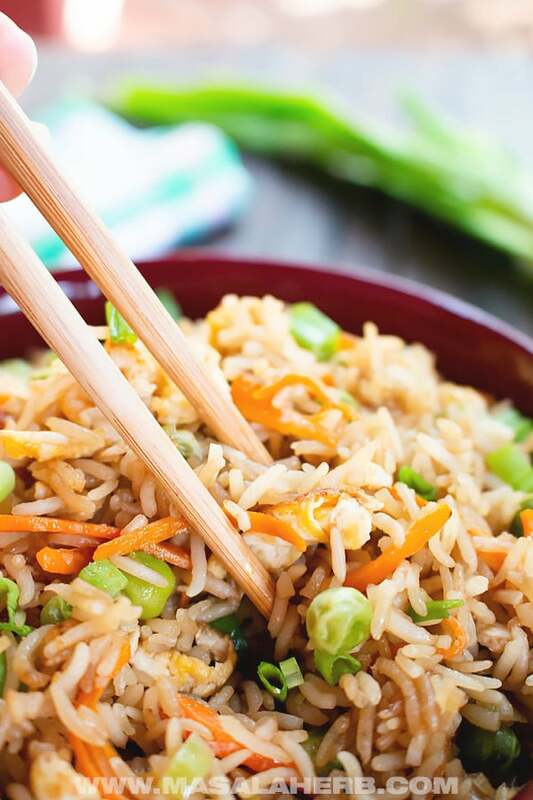 The fried rice was created to be served with typical panda express meals such as Orange Chicken and String Bean Chicken Breast, just to name a few. I personally love the fried rice with a chicken cabbage stir fry or any other wok stir fry. Feel free to enjoy the veg egg fried rice without anything else. In that sense, the panda express fried rice makes a neat vegetarian dinner meal idea. Homemade copycat Panda express fried rice, prepared from scratch with just a few ingredients. Try to use cooked cold rice fro the best-fried rice ever. That way you will succeed frying your rice anytime! This is for all those who love copycat recipes. For the rice either cook it halfway through so that the rice grains are semi/almost cooked or even better use leftover rice which was kept in the fridge. Leftover fridge rice tends to get a bit hard in the fridge and that's what we want. It's easy to stir fry the rice that way or it will get mushy. Heat up a pan or wok with oil. Add the sliced green onion bulbs and stir fry for a minute or two until the onion bulbs have turned soft. Then add the carrot pieces and stir fry for a minute as well. Break the eggs into a small bowl and scramble eggs. Push the carrot and onion slices to the side of the pan so that we can cook the egg. Pour the egg into the pan and let it cook. Then break the eggs into pieces. Mix the whole content of the pan. Add in the green peas. I use cooked soft green peas. Mix everything well. Now you can add the cooked rice. Stir fry and mix the rice with the other ingredients on high heat. Use two wooden frying spatula for that purpose or Chinese cooking chop-sticks. Pour the soy sauce and vinegar over the fried rice. Mix and stir fry again for a minute. Mix everything well, garnish with the sliced green onion stalks. Use long grain rice such as Basmati rice. Use Rice Vinegar or regular white vinegar. A mild vinegar variation works best. 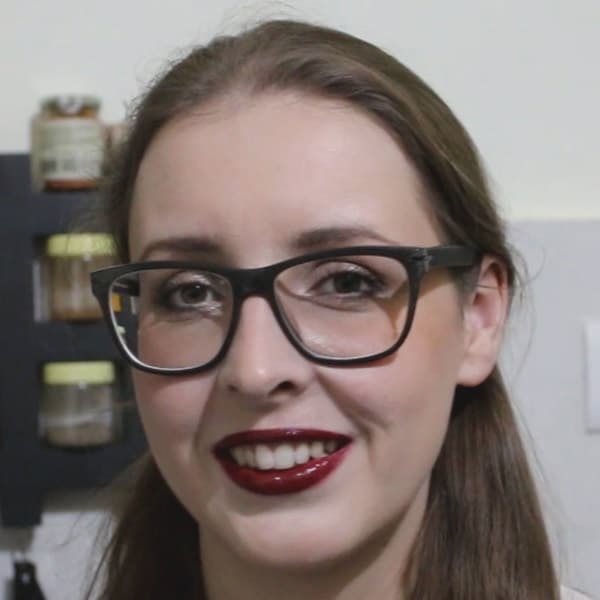 The sesame oil is optional. It lends the dish typical Chinese flavors. Please watch my how to recipe video to see how I prepare this panda express copycat fried rice from scratch. Dear Reader, how are you planning to serve this panda express fried rice? I had everything to make this so I made it tonight! It may be a copycat, but I liked it so mjuch better! Not greasy at all… we devoured it!! Looks like a great meal for weeknights! 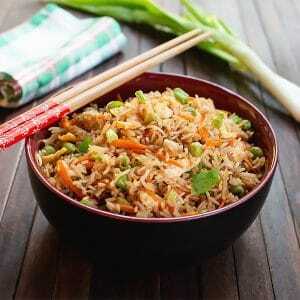 Hi, this may be interesting you: Panda Express Fried Rice!